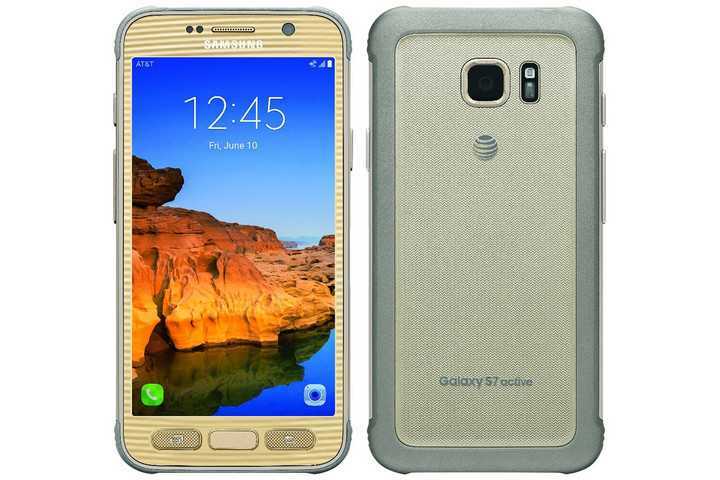 Samsung Galaxy S7 Active will soon be a reality following months of speculations and rumors about the AT&T exclusive. While a lot has already been said and leaked about the specifications and features of the rugged phone, things haven’t been clear with respect to the release date. However, according to the latest reports, it seems AT&T will be ready to announce the new S7 Active this week Friday, June 10. This will add to the growing list of Samsung Galaxy S7 variants that have already seen the Batman edition as well as Duos variants come into play. However, the Galaxy S7 Active offers something a lot different from what the rest of the pack has to offer. It all begun with Samsung Galaxy S4 Active then came the S5 Active and last year saw a Galaxy S6 Active come into the fold. Well, this is the year for an S7 Active and apparently, this new model will be borrowing a lot from the flagship S7, just like last year’s S6 Active did with the standard S6. Even though it will feature a larger form factor as compared to Samsung Galaxy S7, the Galaxy S7 Active is expected to come with the same 5.1-inch Super AMOLED QHD screen used on the standard phone. This means you will still be getting a resolution of 2560 by 1440 pixels and pixel density of 577ppi. Under the hood, the phone will carry a Snapdragon 820 SoC and a RAM of 4GB, just like any other U.S. variant of the Galaxy S7 and S7 Edge. To store your files, Samsung Galaxy S7 Active will offer 32GB of expandable storage. As for the design, expect something similarly rugged as the Galaxy S6 Active, but with a tougher material build that features water, heat, dust, and shock resistance. Next Next post: Samsung Galaxy Note 6 vs. Galaxy Note 5 vs. Galaxy Note 4 – Should You Wait?